It was at New Japan Pro Wrestling’s G1 Climax 26 tournament that the Winnipeg-born Kenny Omega would take another huge step in his ascension to becoming not only one of the best wrestlers in Japan but also globally acclaimed. Starting Friday, March 10th, AXS TV will launch a special four-week, eight-episode event showcasing the entire G1 Climax tournament form 2016 with back-to-back episodes each week at 7pE/4pP and 8pE/5pP. 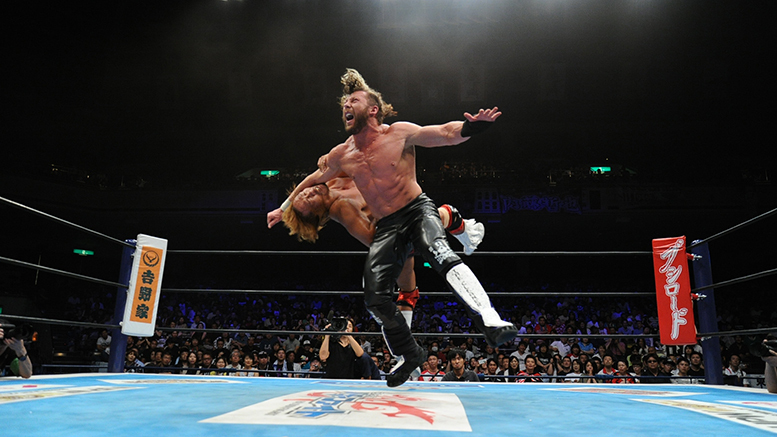 As a member of Bullet Club stable, Kenny Omega became the first gaijin, or non-Japanese wrestler, to ever win the G1 Climax, which gave him the shot at Kazuchika Okada and his IWGP Heavyweight Championship at this past January’s Wrestle Kingdom 11, a match that has already gone down as one of the best ever. For those unaware exactly what the G1 Climax is, it’s an annual round-robin tournament with 20 of NJPW’s top wrestlers over month-long string of matches, all competing for the prominent tournament championship and a contract for a match for NJPW’s top prize, the IWGP Heavyweight Title, to take place in the main event at Wrestle Kingdom in the Tokyo Dome. For more information on NJPW on AXS TV, visit axs.tv. For more information on NJPW, visit their newly launched English website at njpw1972.com.